Rolwaling Trek unveils beautiful Sherpa villages perched at the foot of snowcapped mountain range - Dorje Lakpa, Gauri Shanker. The enticing local people and their cultures allure the visitor. The trekking leads up into Tso Rolpa 4550m and Rolpa Glacier situated in Gauri Shanker Convervation Area of mid-eastern region of Nepal. 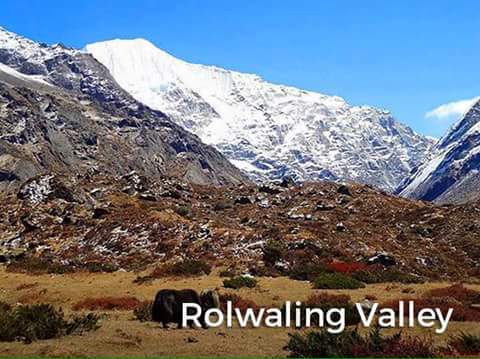 Rolwaling trekking is possible either with camping or normal tea house accommodation acoording to the choice of the clients. 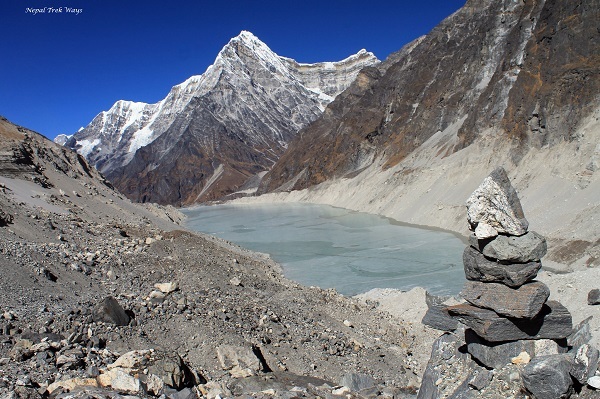 We drive from Kathmandu to Singati Bazar and then hike to khare, jagat, simigaoun, daldung la, beding and Na village and finally to Tso Rolpa Lake 4550m from where we return to Na. After Na villag, we trek descending from Rolwaling valley to Kathmandu or Tashi Lapcha Pass. Day 1 - Arrival in Kathmandu (1350m) transfer to Hotel. 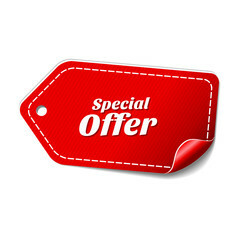 Day 2 - Sightseeing tour in Kathmandu valley/ trip preparation day. Day 3 - Kathmandu - Singati 950m 6-7 hours drive. Day 4 - Singati - Khare 1100m/ 5-6 hrs walks. Day 5 - Khare - jagat 1400m/ 6 hrs walks. Day 6 - Jagat - Simigaon 2000m/ 6 hrs walks. Day 7 - Simigaon - Daldung La 2890m/ 5-6 hrs walks. Day 8 - Daldung La - Beding 3700m/ 6 hrs walks. Day 9 - Beding - Na 4183m/ 5-6 hrs. Day 10 - Exploring the valley and back to Na 4183m/5-6hrs walk. Day 11 - Na - Daldung La 2890m/ 6 hrs walks. Day 12 - Daldung La - Jagat 1400m/ 7 hrs walks. Day 13 - Jagat - Singati 950m/ 7-8hrs walks. Day 14 - Singati - Drive back to Kathmandu 6-7hours. Day 15 - Final departure transfer to airport trips to end. Arrival in Kathmandu (1350m) transfer to Hotel. Sightseeing tour in Kathmandu valley/ trip preparation day. Kathmandu - Singati 950m 6-7 hours drive. Singati - Khare 1100m/ 5-6 hrs walks. Khare - jagat 1400m/ 6 hrs walks. Jagat - Simigaon 2000m/ 6 hrs walks. Simigaon - Daldung La 2890m/ 5-6 hrs walks. Daldung La - Beding 3700m/ 6 hrs walks. Beding - Na 4183m/ 5-6 hrs. Exploring the valley and back to Na 4183m/5-6hrs walk. Na - Daldung La 2890m/ 6 hrs walks. Daldung La - Jagat 1400m/ 7 hrs walks. Jagat - Singati 950m/ 7-8hrs walks. Singati - Drive back to Kathmandu 6-7hours. Final departure transfer to airport trips to end. 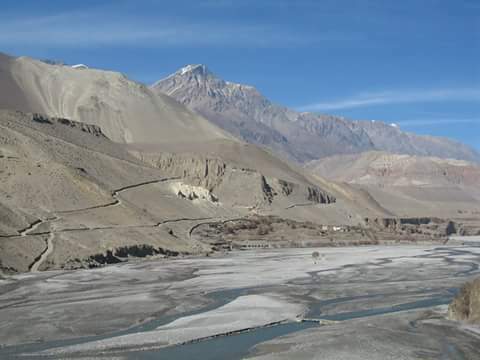 The Upper Mustang trekking unveils the hidden world of Mustang – the legendry Buddhist Kingdom. This is an exotic venture to unspoiled Tibetan Villages on the other side of the Nepalese Himalaya bordering Tibet. 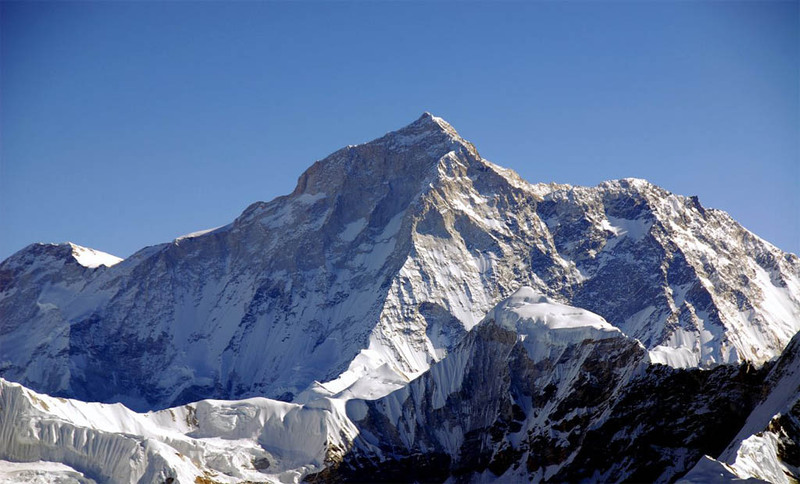 Makalu base camp trek takes you to the world's fifth highest mountain situated in the Makalu-Barun National Park and Conservation Area, a place of outstanding natural beauty with diverse flora and fauna. It’s a great trip for walkers who are confident with ice-axe and crampons, and for aspiring mountaineers. It has to be done as a camping trek: between Na and Thame cause there are no lodges.